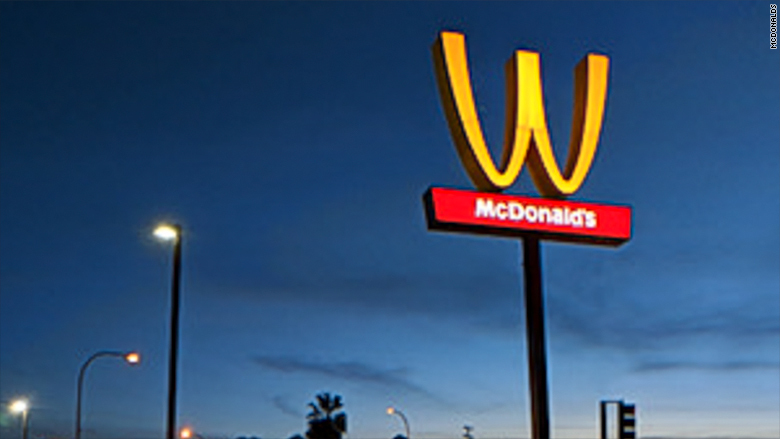 McDonald's is celebrating International Women's Day with a big, gleaming W.
The giant arches were physically flipped at one California restaurant. On Thursday, International Women's Day, upside-down arches replaced right-side-up arches across McDonald's digital channels. Lewis said McDonald's is flipping its logo "in honor of the extraordinary accomplishments of women everywhere." The upside down signage was put up outside a restaurant outside Los Angeles, in Lynwood, California. Mayor José Luis Solache took note in an Instagram post. The restaurant chain will also mark the occasion at another 100 US locations, where McDonald's (MCD) employees will wear special hats and shirts. In recent years, companies have started using International Women's Day to broadcast their views on gender equality. "International Women's day is a perfect opportunity for brands to talk about their commitment to empowerment," said Tim Calkins, a marketing professor at Northwestern University's Kellogg School of Management. "It's a perfect venue to get out there and enhance your brand perception," he said. 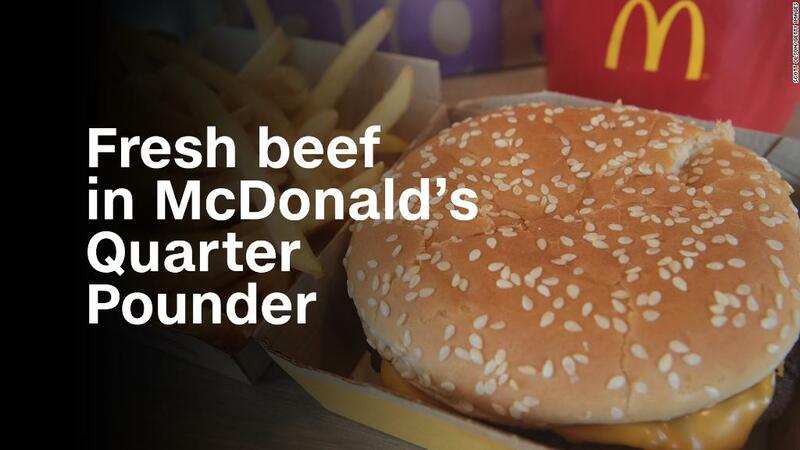 In a statement, McDonald's said that 6 out of 10 managers of US restaurants are women. "We have a long history of supporting women in the workplace," the company added. "When companies see high-profile campaigns that get some traction and get some discussion, they are very quick to jump on the bandwagon." One example of a particularly successful campaign is the "Fearless Girl," sculpture, which was installed across the "Charging Bull," in New York City by State Street ahead of International Women's Day last year. The statue was designed by the financial services company and the advertising firm McCann to call attention to State Street's efforts to improve gender diversity on corporate boards. But it soon took on a life of its own.